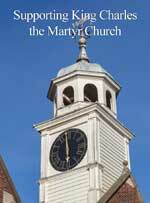 King Charles the Martyr is a living Church serving the needs of people by providing traditional Anglican liturgy. In return, our parishioners commit time, energy and some financial resources. King Charles the Martyr is also a Grade One listed building and a cherished part of our local heritage. Maintaining, conserving and insuring this historic asset can be costly. Please consider supporting the church, either with a donation or by setting up a regular payment. It’s now easier than ever to give to our church – find out below how to get started. If you pay income tax, make sure to fill your details for Gift Aid on all your donations. That way, for every £1 you give, the church gets £1.25. Of course, even if you are not a tax payer you can still give in any of the methods detailed below. The donation goes through your phone bill. Easy! If you prefer, you are welcome to make a gift using cash or a cheque – there are pink envelopes provided in the pews in King Charles Church. 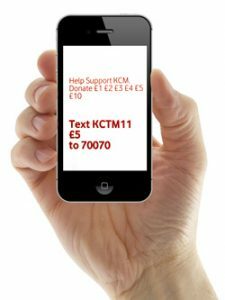 Simply place your donation into the envelope, fill in your Gift Aid details on the envelope, and place it in the collection box. If you choose this method, it would be helpful if you still sign and return the Gift Aid Form A even though each envelope has a declaration printed on it – in this way, you need only put your name on an envelope and date it. Fill in the relevant form (A, B or C as shown below), sign it and send it to the Parish Office. We will do the rest!